Meet the Rasaleela " Betty "Dress , she's sure to become a wardrobe favourite. Who doesnt love pockets too ! 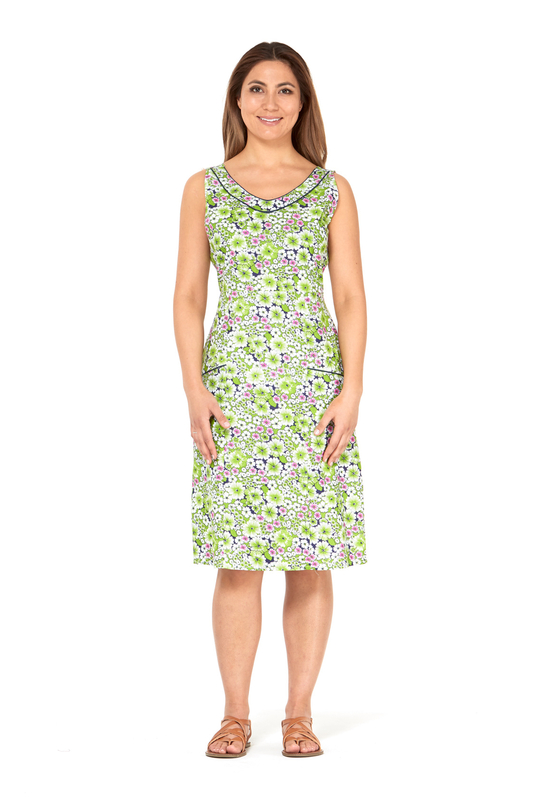 The Betty dress is a wonderfully tailored and fitted dress in our gorgeous Meadow print consisting of white,navy,green and pale pink blooms So fresh and easy to style up from morning to night ! Heels or flats its your choice and throw on a cardi for cooler days and nights !